The iPhone 6, not the iPhone 5S, could possibly be Apple's next smartphone judging by a little hint that cropped up on Wednesday evening. Gadget site Stuff reported it received a photo purportedly of the till system at a Vodafone UK store (which it has since removed along with the reference to Vodafone), with '4G iPhone 6' listed. The appearance of an item within a store's inventory usually suggests it is preparing to receive stock of said item, naturally. However, with an iPhone 5S release date expected instead, it would be a eyebrow-raising surprise if Apple skipped its usual release cycle to go straight to the iPhone 6. Historically, the 'S' versions of the device has seen incremental upgrades, whereas the iPhone 4 and iPhone 5 saw major design changes. 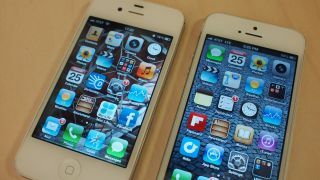 This year's instalment was thought to be the former and we'd be very surprised if Apple went straight to the iPhone 6. The more likely scenario is likely to be that whomever entered 'iPhone 6' into the Vodafone inventory may have simply meant 'next iPhone', but stranger things have happened.